26 cm tall (10.5 inches). Base measures 17.5 x 15 cm. 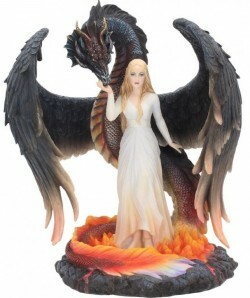 A beautiful woman with a terror-inducing dragon at her command.